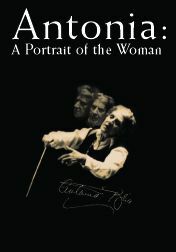 Antonia: A Portrait of the Woman is a 1974 documentary about symphony conductor Antonia Brico, including her struggle against gender bias in her profession. The film was directed by Judy Collins and Jill Godmilow. It was nominated for an Academy Award for Best Documentary Feature. In 2003, this film was deemed "culturally, historically, or aesthetically significant" by the United States Library of Congress and selected for preservation in the National Film Registry. ^ "NY Times: Antonia: A Portrait of the Woman". NY Times. Retrieved 2008-11-15. This page was last edited on 10 February 2019, at 00:05 (UTC).